In Miracle Drug, Dr. Ben Lambert tragically died from an apparent heart attack. His body turns up missing and is later recovered cremated before they could perform an autopsy on him. Dr. Lambert is the personal physician to the former President of the United States, David Madison. Before he died, Lambert recommend Dr. Josh Pearson if something was to happen to him. Dr. Josh Pearson becomes former President Madison new physician. Josh’s girlfriend, Rachel went to South America for a special trip along with the Madison and a small group of people. Rachel and Madison develop a cough and had a raw throat. Dr. Pearson believed they both have diphtheria and they were supposedly given immune shots before their trip. They are in both need of a miracle drug to heal their bodies. Meanwhile someone is trying to kill the former president. Will they succeed? Will they have enough antidote for the both of them? Will Dr. Pearson have to make a difficult choice on who gets it? Who killed Dr. Lambert? Many questions will be answered in this book! I would recommend this amazing book to anyone who enjoys medical mystery novels and they love a good adventure. I liked how Dr. Richard L. Mabry, M.D. explains the medical terminology in way a non-medical background can understand what occurs. I also loved how he described the steps and process it takes for the FDC to approve new drugs. I have read a few books by Dr. Mabry and let me tell you, his stories keep getting better and better. His new book is very fast paced and it will grab the reader’s attention until the case is solved. I liked how Dr. Mabry was able to keep me guessing on who was behind the crime and who was attempting to assassinate the former president. I also liked how the book enclosed discussion questions to assist readers into digging deeper into the meaning of the story. I also liked how they included the first chapter of his next book, “Medical Judgement”. I can’t wait to read his next book! If you’re seeking a new mystery book, then read this one! 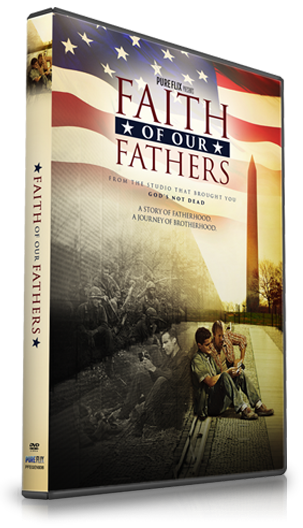 Faith of Our Fathers is a brand new Christian movie. The movie begins with young couple John Paul (play by Kevin Downes) and Cynthia (played by Candace Carmen Bure). They are getting married in a few weeks. John Paul has unanswered questions about his late father, Eddie. His father served in the Vietnam War alongside his best friend, Steven. They were both tragically killed in combat. He tracks down his father’s best friend’s son, Wayne (played by David A.R. White). Wayne takes John Paul on a road trip journey to see the Vietnam Wall in Washington, D.C. and he tries to help him discover the truths about their fathers. Along the way, Wayne convinces John Paul to buy the letters he received from his father for $500 dollars a piece. These letters contain information about their fathers and what happened in Vietnam. I would recommend this amazing movie to anyone who enjoys faith based movies. This movie is a perfect movie to watch to remember Veteran’s Day. I loved the dynamitic list of movie stars staring in this movie. Candace Carmen Bure is one of my favorite actress who always portrays in nice family friendly roles. I also loved the surprise guest star Duck Dynasty, Si Robertson and how he brought humor to the scene. I loved seeing Christian artist, Rebecca St. James back on screen. I liked the overall plot of the film and how they showed old war scenes to add to the movie’s appearance. I also liked how the letters showed the journey of how Wayne’s father became a Christian by being influenced by Eddie. The movie is kind of a sad movie but I liked how the film showed the power of brotherhood in fathers and sons. If you’re looking for a new movie to watch, then watch this film! SHARE ABOUT SOMEONE OR SOMETHING THAT'S IN YOUR PRAYERS TODAY! In Pass It On, Jim Burns and Jeremy Lee explored the principles on how to parent during each stage of your children’s development. The authors both believe that our faith in Jesus can leave a lasting legacy for our children. The Bible even declared how the effects of previous generations could have on the current generation. They shared a story about the famous speaker Jonathan Edwards and how each generation make a lasting positive impact. They also revealed the story of Max Jukes and how his family line included a number of rapists, murderers, and prostitutes. 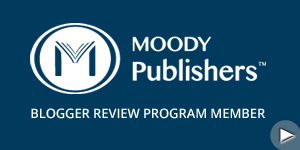 The book contains thirteen chapters and they cover each grade level in order to assist your child in their rite of passage. One of my favorite chapters was entitled, “Seventh Grade: The Blessing”. This chapter discussed the importance of celebrating your child entering adulthood. The authors encouraged parents to have a blessing ceremony for their child. They could give them a written blessing, a family dinner, or a public blessing. They also strongly suggested not to focus on achievement as being the center of the blessing, instead parents should focus on their faith, choices, future, and much more. They also included scripture verses of where passages discuss blessings. I believe this chapter has the potential to greatly impact and bless your child’s life, if you’re a parent, I encourage you to try this! I would recommend this life changing book to any parent on any stage of parenting. This book is meant to be read year to year in order to assist parents in raising their children and instilling principles in their life that will benefit generation after generation. I love how the authors both appeared to be very knowledgably in parenting and teaching children about the importance of faith in Christ. I loved how the book was laid out and how they included different resources for each chapter such as samples scripts and questions. I also liked how they enclosed a special section on “What You Need to Know about _____ graders”. I thought it was really helpful seeing what changes physically, emotionally, relationality, and spiritually affect our children at each different stage of their life. Parents often experience a "freak out" moment when they realize their children's view of God will primarily come from what they learn at home. While the idea of strategically passing down our faith can seem intimidating, the annual Rites of Passage Experiences contained in Pass It On make it easy for your family to celebrate milestones from kindergarten through high school graduation. Forever change the direction of your family's spiritual legacy . . . starting now!